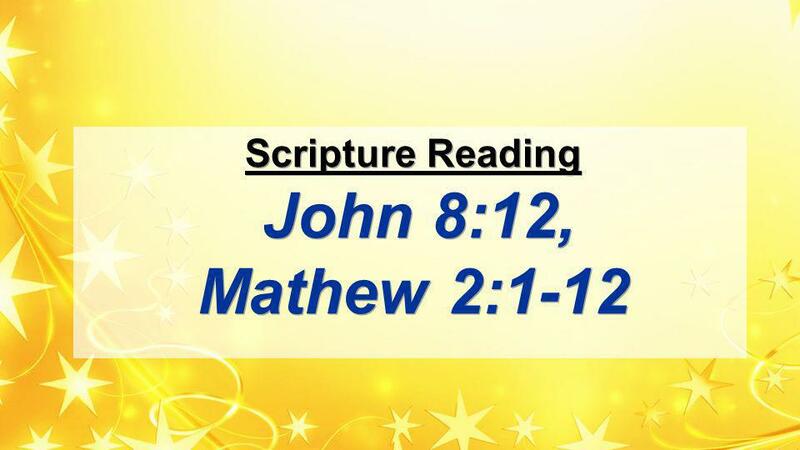 Scripture Reading John 8:12, Mathew 2:1-12. 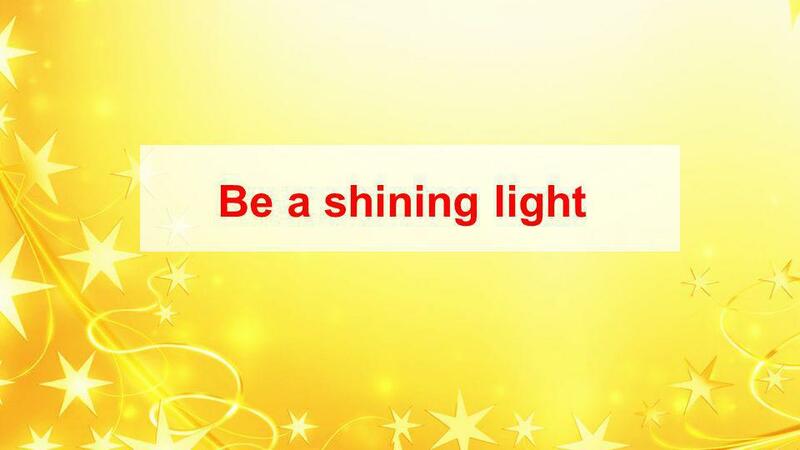 Scripture Reading 12 When Jesus spoke again to the people, he said, I am the light of the world. Whoever follows. 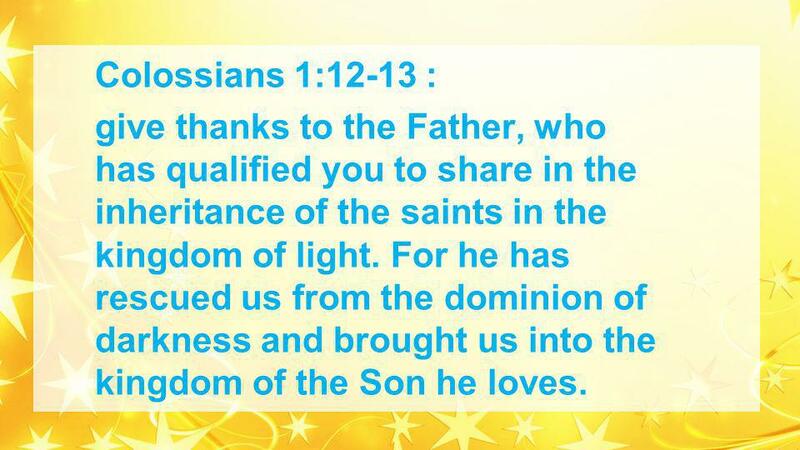 12 Colossians 1:12-13 : give thanks to the Father, who has qualified you to share in the inheritance of the saints in the kingdom of light. For he has rescued us from the dominion of darkness and brought us into the kingdom of the Son he loves. 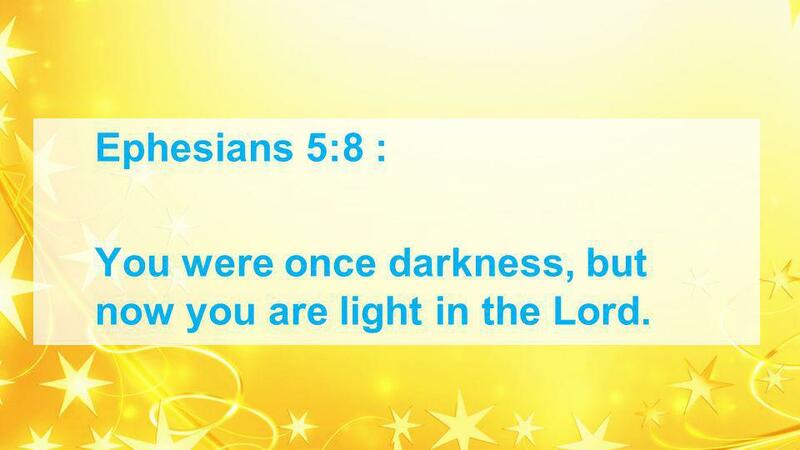 13 Ephesians 5:8 : You were once darkness, but now you are light in the Lord. 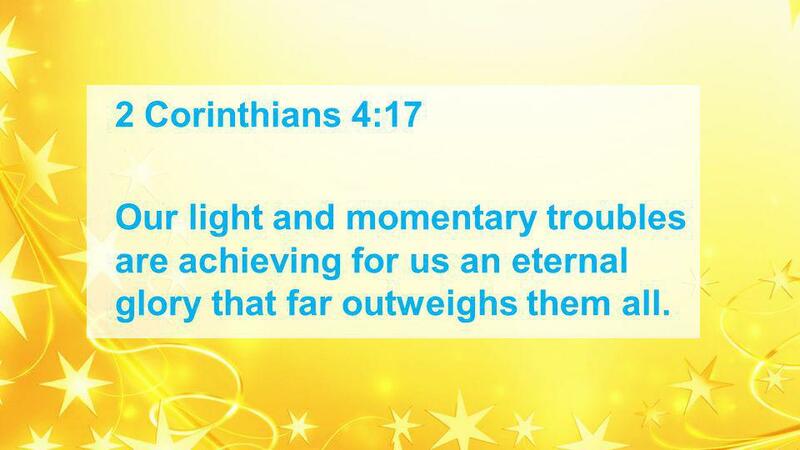 14 2 Corinthians 4:17 Our light and momentary troubles are achieving for us an eternal glory that far outweighs them all. 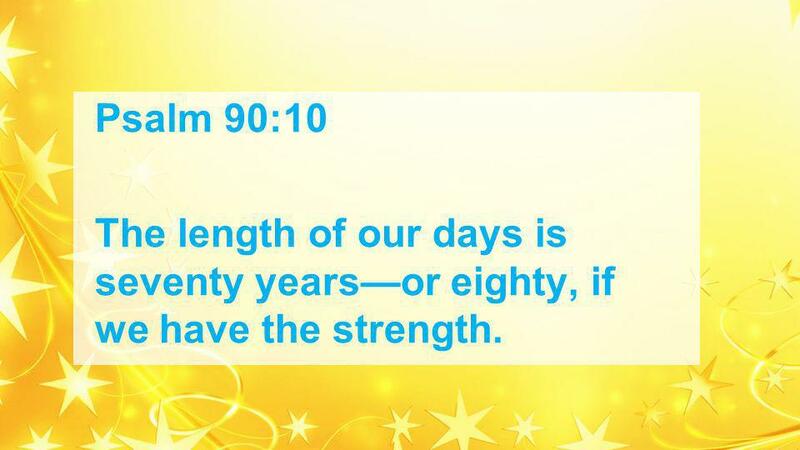 15 Psalm 90:10 The length of our days is seventy yearsor eighty, if we have the strength. 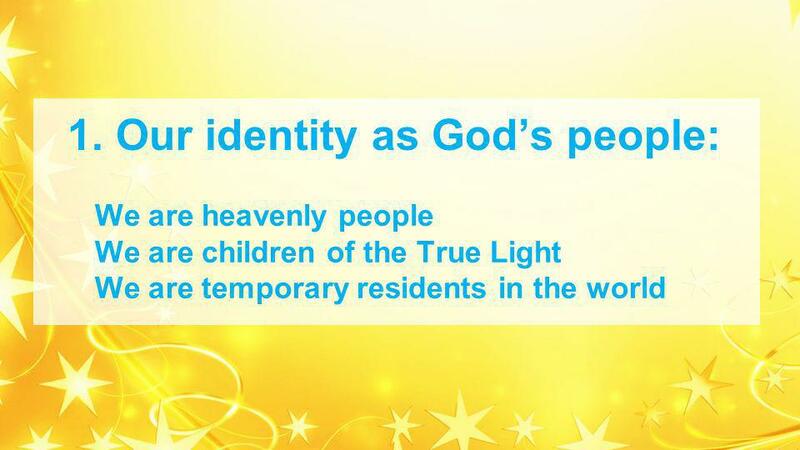 17 John 8:12: I am the light of the world. 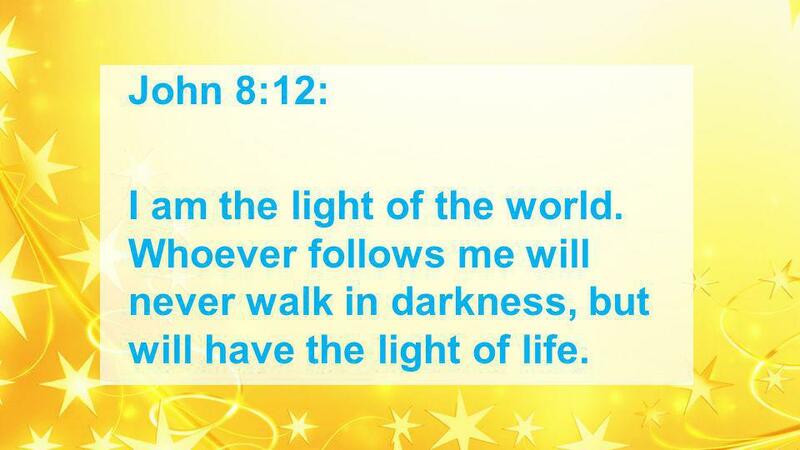 Whoever follows me will never walk in darkness, but will have the light of life. 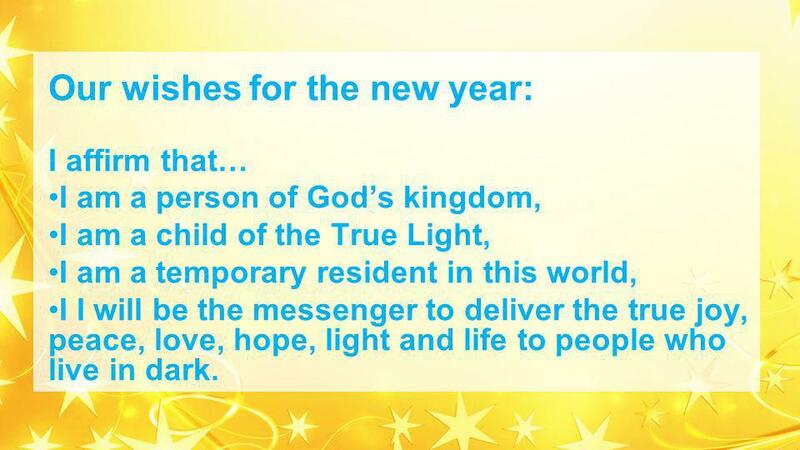 19 Our wishes for the new year: I affirm that… I am a person of Gods kingdom, I am a child of the True Light, I am a temporary resident in this world, I I will be the messenger to deliver the true joy, peace, love, hope, light and life to people who live in dark. 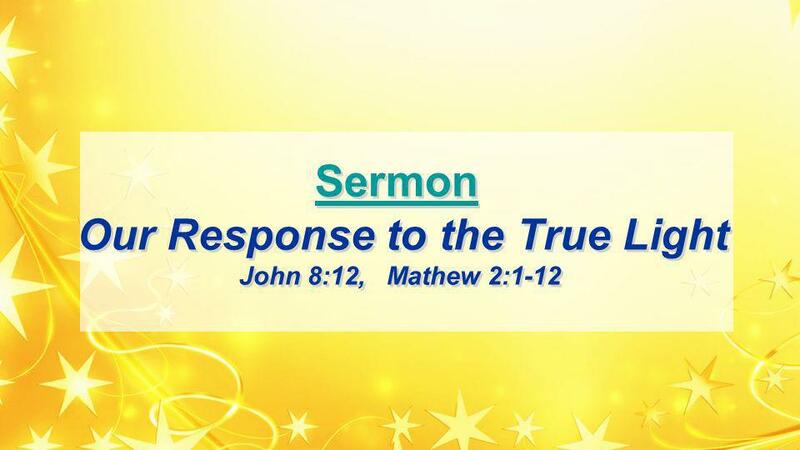 Download ppt "Scripture Reading John 8:12, Mathew 2:1-12. 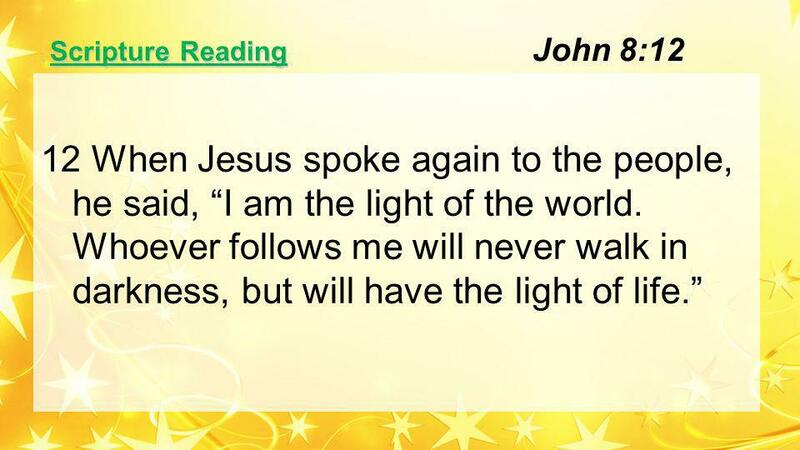 Scripture Reading 12 When Jesus spoke again to the people, he said, I am the light of the world. Whoever follows." 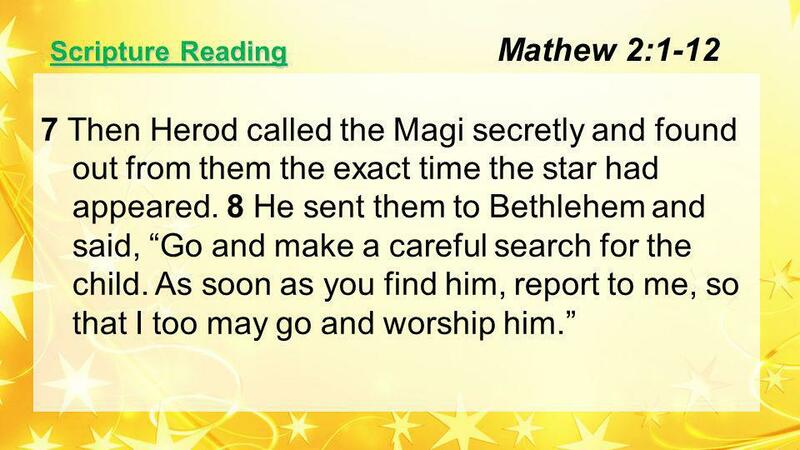 Guidance … works in context of a desire to worship … can come from something we are drawn to (star) … can come from dodgy sources (Herod) … is in line. The Gifts That Reveal Who Jesus Is. 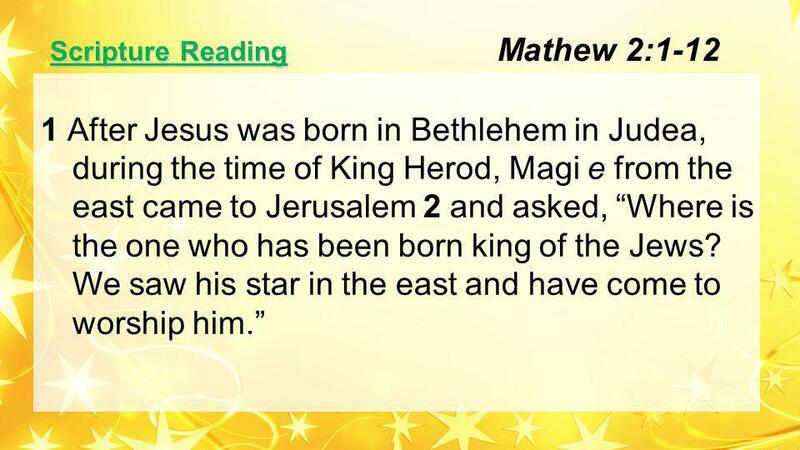 Matthew 2: After Jesus was born in Bethlehem in Judea, during the time of King Herod, Magi from the east came. 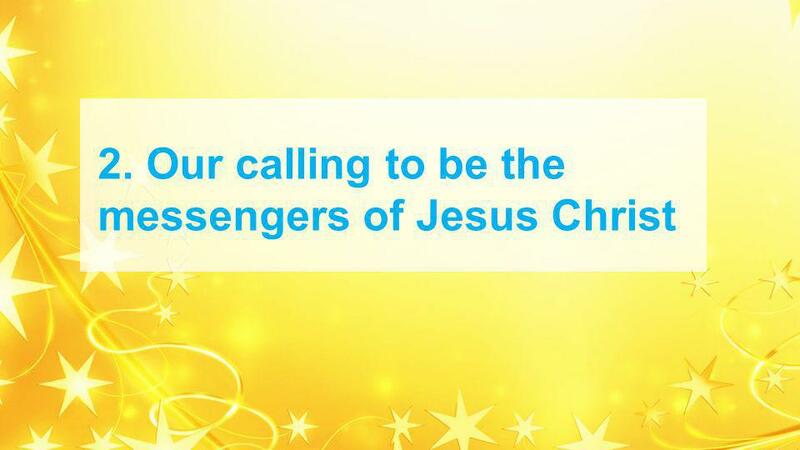 Living, loving, learning as followers of Jesus Christ. THEME VERSE Ps 89:1 I will sing of the LORD's great love forever; with my mouth I will make your faithfulness known through all generations. When the Penny Drops Tom Burrows Stour Valley Vineyard. A Time for Hope Worship Brain Sweeney November 28, 2010. 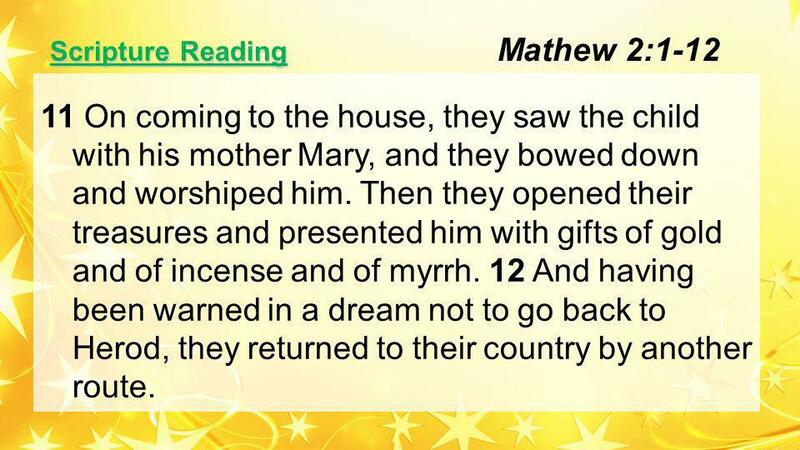 Christmas Story Luke 2 & Matthew 2. Shema – Hebrew Shema Israel, Adonai elohenu – Adonai echad Ve’ahavta et Adonai eloeikah B’khol levavkah Uve’khol naphshekah. The Coming of the King. 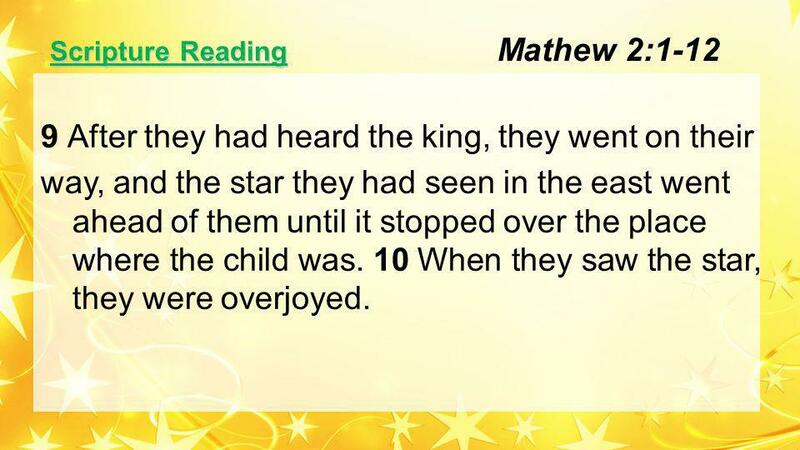 The Praise of the King Jesus was supposed to be worshiped. GATHERING Welcome & Announcements Preparation: MV 220 “Hope Shines as the Solitary Star” Opening Prayer Hymn: VU 89 “From a Distant Home” WORD Scripture. With help from and. (17) When the magi had left, suddenly an angel of the Lord appeared to Joseph in a dream, saying, “Get up and take the child and his. 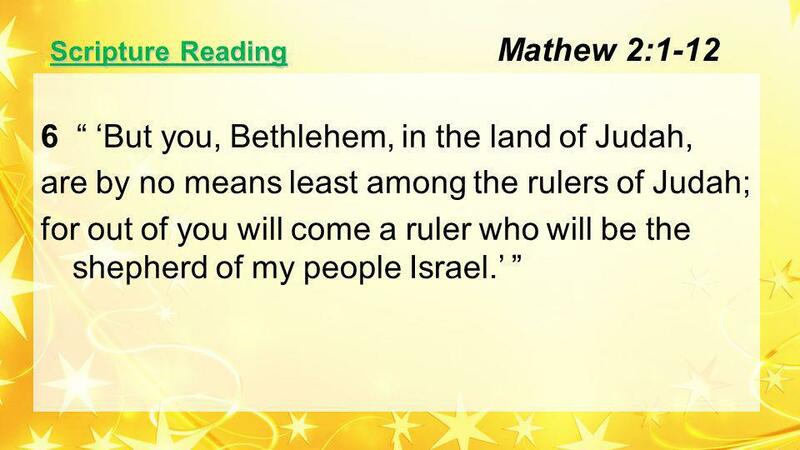 ICEL Journey into Jesus Matthew 2: After Jesus was born in Bethlehem in Judea, during the time of King Herod, Magi from the east came to Jerusalem. Bowing Before the Savior December 30. True or False Quiz 1.Three wise men visited Jesus with the shepherds the night of His birth 2.The evil innkeeper. Respond to God’s Gift December 18. Think About It … How have you had to go to extreme measure to find and procure a special Christmas gift for someone? Wise Men Still Seek Jesus. 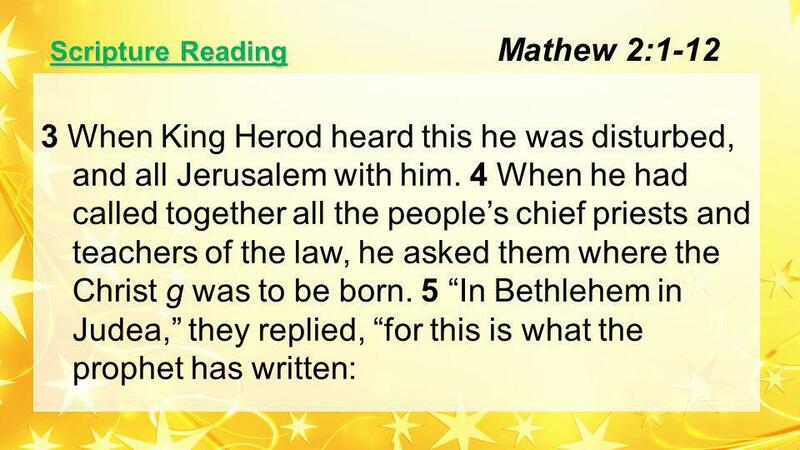 Matthew Chapter 2 1 Now after Jesus was born in Bethlehem of Judea in the days of Herod the king, behold, wise men from the.